New sales numbers released by the B.C. Real Estate Association Friday suggest measures intended to cool the overheated house market could be working. The Multiple Listing Service recorded 8,837 home sales across the province in May, a 28.7 per cent drop from the same month last year. According to BCREA chief economic Cameron Muir, the massive drop is likely due to mortgage rules imposed by Canada's banking regulator this year, which included a new stress test for uninsured borrowers. "Home sales continued to slow in May because of more stringent qualifications for conventional borrowers," Muir said in a news release. As sales slowed, prices also took a slight dip. The average residential listing price across B.C. last month was $739,783, down 1.7 per cent from May 2017. That's entirely due to a dip in the market in Metro Vancouver, however. In every other market, including the Fraser Valley and Vancouver Island, prices increased year-over-year. In Chilliwack, they went up a whopping 17 per cent. 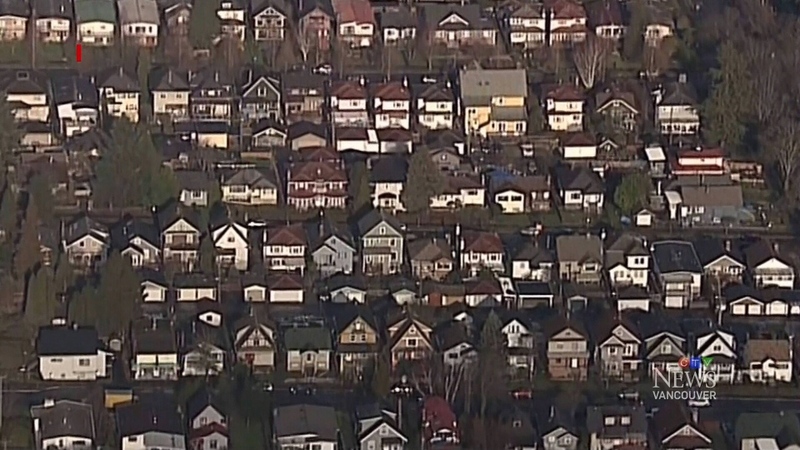 "The changes in mortgage policy are taking their toll on housing demand, not only in British Columbia, but across the country by reducing purchasing power and housing affordability," Muir said. In the Vancouver area, average residential home prices fell from $1.11 million in May 2017 to $1.10 million last month. Also on Friday, the Canadian Real Estate Association lowered its national home sales forecast because of weaker-than-expected numbers in both B.C. and Ontario. Across the country, the association expects home sales to drop 11 per cent in 2018 compared to last year. It placed some of the blame on the mortgage stress test, but also cited market uncertainty, provincial policies, high prices and supply shortages for the forecast. The stress test, which was introduced on Jan. 1, applies to buyers who don't require mortgage insurance because they're making a down payment of over 20 per cent. It forces them to prove they would be able to keep making payments if rates were to increase.